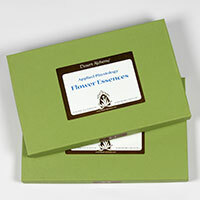 The “late bloomer’s essence”, Agave helps you own your level of mastery and manifest your talents and strength. Arizona White Oak helps us if we believe that in order to grow we must struggle. It fosters strength through stability and continuity and helps us to feel deeply rested through surrender. For issues of autonomy, Canyon Grapevine brings appreciation of others as interdependent rather than competing. This essence helps us find a balance between dominance and dependency and encourages us to see obstacles as opportunities. For those who take life too seriously and feel that they are responsible for everything and often have an underlying sense of insecurity. Devil’s Claw activates our natural sense of morality. This essence supports us in taking responsibility for owning and expressing who we really are, separate from the projections of others. It is useful if we find ourselves using attractiveness or personal magnetism to manipulate others, or if we try to become who we think others want us to be. Evening Star is wonderful for problems of intimacy in relationships due to doubt about our emerging identity. It encourages us in shifting from outer dependence to self-reliance with confidence and quiet surety. Fairy Duster balances the tendency to swing between high and low energy states. We can use this essence when we have inflated expectations or build castles in the air. It is excellent for nervous excitability and over-reactivity to stimuli. Fishhook Cactus is for those who hide behind non-communication. It is especially indicated for the fear of risking in communication. It supports us with confidence in public speaking, intimate relationships or for speaking foreign languages. Hackberry helps us if we have resistance to feeling grief. Sometimes we have an idea of how long it is appropriate to grieve, but our feelings don’t match. Hedgehog Cactus helps us sort out the difference between self-nurturance and overindulgence. It intensifies empathetic perceptions, bringing us closer to nature. For those of us who become too easily distracted by the needs of others, Hoptree supports us in staying in alignment with our purpose and remaining focused on what is essential to us. It is excellent for anxiety about boundary making. Self-mothering brings joy and freedom, healing separation and alienation. We become receptive to human love. Melon Loco helps step down the intensity of our emotions in order to bring us back into our bodies. It helps us have emotional sensibility, responsibility and balance. If we have subconscious or unexpressed feelings that erupt in uncontrolled ways, Ocotillo gives insight into and acceptance of our emotions without feeling victimized by them. For confusion, feeling lost or overwhelmed by details. It helps us focus continually in a specific direction and find steadiness with our intention. It brings clarity and surrender into and through obstacles. If we are pulled between two choices, Ratany enables us to recognize, follow and communicate the truth in our hearts. With Spineless Prickly Pear, we discover that all we need for survival is contained within us and that we don’t need anything outside of us to Be. We find strength in vulnerability. For those of us who are expecting things to go wrong or be difficult, Strawberry Cactus encourages us to let go and allow our hearts to transmute difficult emotions. We know that there is perfection in each moment and each situation, and we begin to live in joy. White Desert Primrose is for those who are overly influenced by what others think is right for them. It helps us see through other’s projected images and ideals to realize forms of self-expression that are in harmony with our essential nature. It enhances belief in ourselves and discernment of our own unique soul pattern. Releasing deep sadness from the past, Wolfberry helps us allow grief to take us to a transpersonal experience. When we experience that something is shifting around inside ourselves but we don’t know what it is, Wolfberry helps us be at peace and allow the process without insisting upon defining it.